It’s clear that the concept designer that the designer paid attention to redesigning the basic features of the phone. This concept is made particularly for the parachute system feature, rather than to show a completely new look of the next generation Apple phone. The design and size of the phone remains same. All that’s changed is internally. According to the designer’s concept, iPhone’s orientation, speed and proximity sensor can work together to detect when the phone is about to hit an object. These built-in features can then trigger an internal alarm when the phone is just about to hit the floor, and can instantly signal the CO2 tank – installed internally in the phone – to operate. Upon receiving alert from the sensors, the c02 tank can release it’s gas to nozzles located on all four sides of the phone. 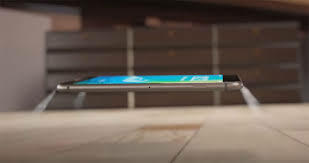 Which would result in controlling the phone from hitting the floor with impact, minimizing speed of the phone, and causing it to gently stop rather than hitting hard onto the floor. After the CO2 tank is emptied, it can be then filled again through a slot located at the bottom of the phone. To test this feature would be interesting for sure. However the chances of this iPhone 7 Parachute System being implemented are very slim. Anyhow check out the clip and share your views on it.